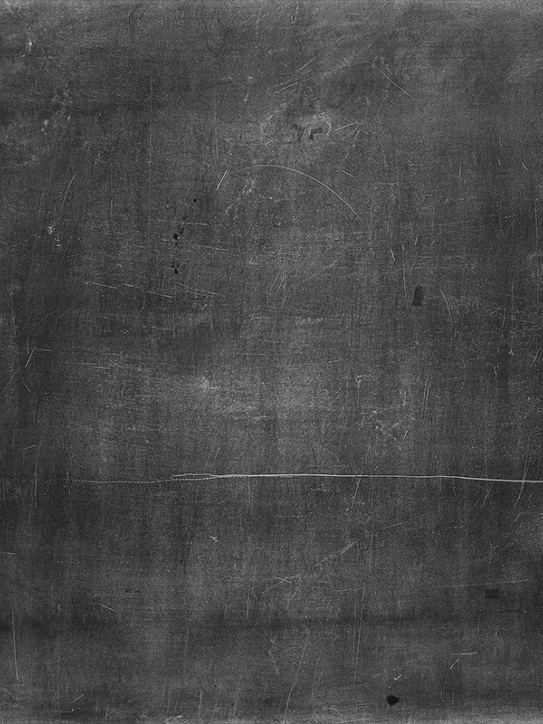 A reflective, dynamic, single-pass interpreted, object-oriented programming language that combines syntax inspired by Perl with Smalltalk-like object-oriented features, and also shares some features with Python, Lisp, Dylan and CLU. 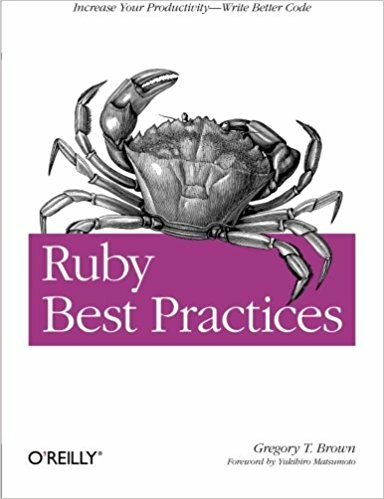 Covers the base syntax of the language, including working with values, flow control, and object oriented programming, into some of the library functionality of Ruby, such as databases, web services, and string manipulation. 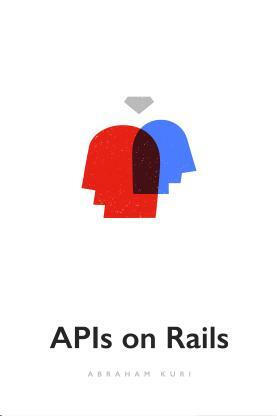 A "developer's notebook" documenting some guidelines, techniques, and ideas for applying classic object-oriented thought to Ruby on Rails applications. 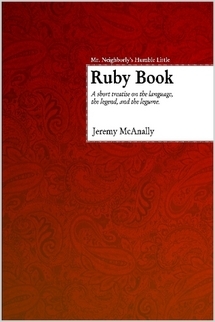 A free on-line book designed to provide a concise and easy-to-follow guide to learning Ruby. 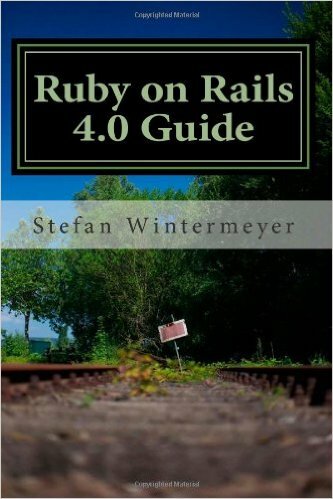 A step by step guide to learn Ruby on Rails 4.0. 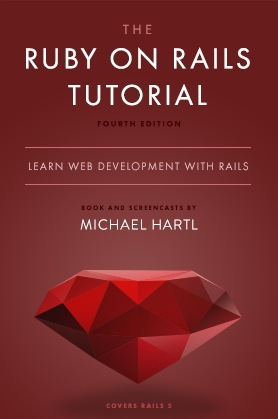 It includes a basic tutorial for Ruby 2.0.0 and is written for programmers who know at least one other programming language and are familiar with HTML. 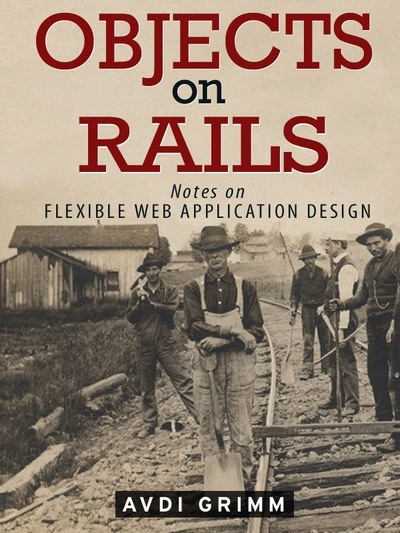 This book teaches you how to develop and deploy real, industrial-strength web applications with Ruby on Rails, the open-source web framework that powers top websites such as Twitter, Hulu, GitHub, and the Yellow Pages. 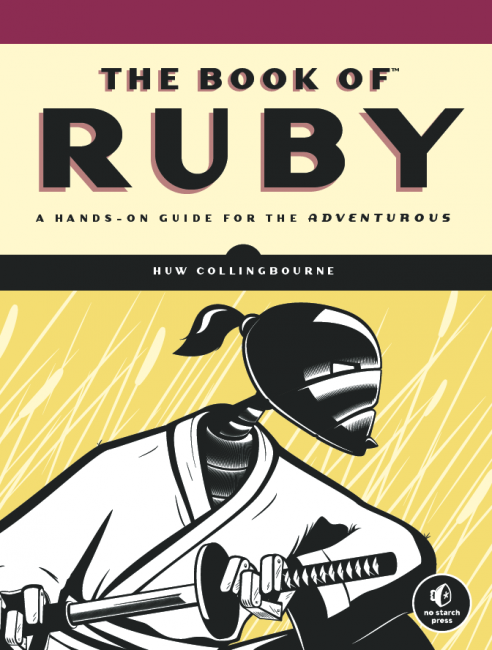 This book serves as a programming guide to Ruby, for beginners and advanced readers alike. 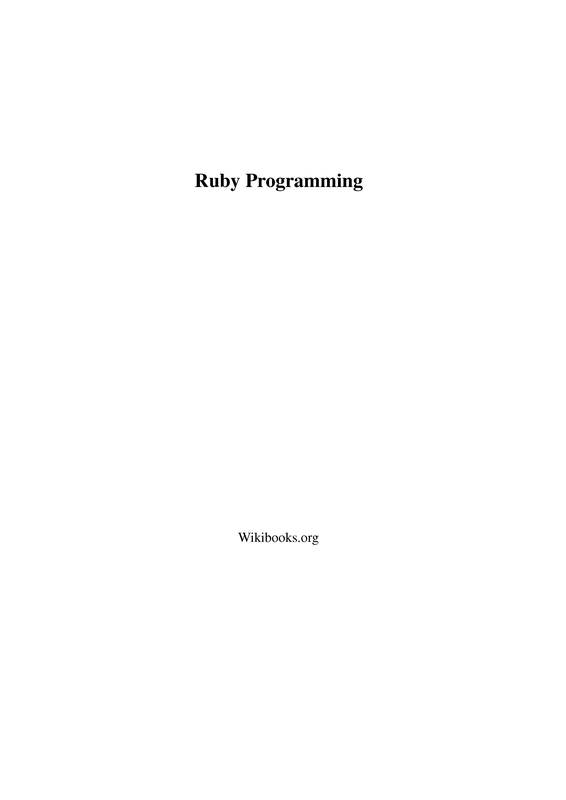 A comprehensive free tutorial to the Ruby language. 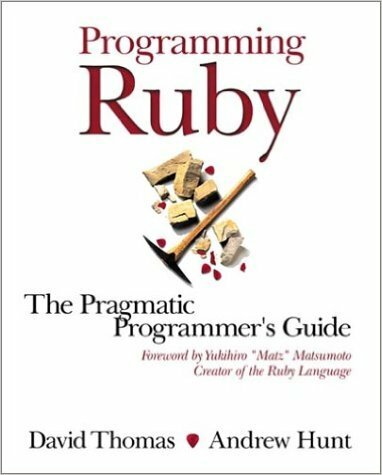 A straightforward, step-by-step introduction to programming in Ruby with small, self-contained sample programs. 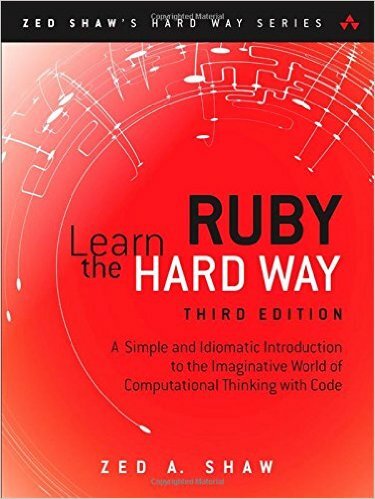 Unusually colourful introduction to Ruby programming language.